The more Barbara reflected on a 12th century saint’s words – ‘being a feather on the breath of God’ – the more real feathers she’d find. One day while walking a labyrinth and grappling with whether to take her vows in a religious order, Barbara found a special feather, – a dark curved one with wispy white fronds. When she picked it up, a small voice inside told her to ‘be a feather’. Barbara left the order and moved to New Mexico, where her connection between feathers and spiritual inspiration grew ever stronger. Although there’s no apparent cause and effect link between Barbara’s finding feathers and receiving spiritual guidance, we sense it’s more than an inconsequential coincidence. Caught up in the meaningful collision of apparently unconnected events, we feel something otherworldly at work – the God-like hand of fate. So what are we to make of it? The Swiss psychologist Carl Jung believed that certain coincidences carry meaning. He coined the term Synchronicity to refer to a series of thoughts and external experiences that, although isolated in time and space, appear to be connected in a ‘meaningful way’. Not all coincidences are synchronistic. Some – like the book you need jumping off the shelf and landing at your feet – are just fun to relate. But real synchronistic experiences hold your attention much longer. Their significance can take years to play out. Jung believed synchronistic experiences mirror deep psychological processes that further ‘individuation’ – the process by which we gain understanding of our place in the world. In Jungian thought, society’s mass-mindedness creates a ‘collective’ repository of emotionally loaded wish-fantasies that are hard to resist. Consider the steadily growing number of worldwide reports of Mary (‘Mother Mary’ or ‘Blessed Virgin Mary’) apparitions. Jung wouldn’t be surprised. Increasingly complex technological advances threaten to annihilate our spiritual heritage. Yet according to Jung, our spirituality is the very thing that makes us individuals. Statistically, synchronicity shouldn’t happen. Although modern society encourages us to be ‘normal’ or ‘average’, we can use our synchronistic experiences to assert our individuality. 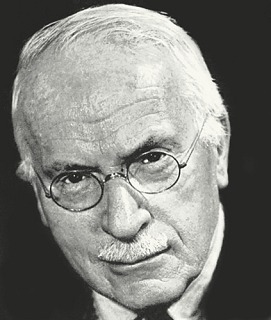 Jung believed real life to be made of individuals – not averages. He also said that it’s by thinking outside the box that we’ll find our personal worth. Like dreams, synchronistic experiences naturally occur when our unconscious is trying to tell us something. Archetypes – the building blocks of the unconscious – are the key to understanding the message. Jung described archetypes as concentrations of psychic energy that manifest as particular themes and motifs – like the spiral found in seashells. Such motifs appear widely across history and cultures. The unconscious connects us with the archetypes, and the archetypes trigger synchronistic experiences. Synchronistic experiences always involve an archetype. Consider the case of the golden beetle. While Jung’s client was relating a dream in which she’d received a gift of a golden scarab (a large dung beetle held sacred in ancient Egypt), Jung heard a gentle tapping on the window. He opened it and caught a beetle whose gold-green color was the same as that of the golden scarab his client had described. When Jung related that the scarab was a classic rebirth symbol depicting the archetype of self-transformation – exactly the issue with which she’d been struggling, the client was shocked enough to break down her resistance to therapy. Archetypes often depict universal life events such as birth, puberty, marriage, parenthood, and death. They also depict the classic character types associated with those events. Confronting archetypes through synchronistic experience alerts us to personal issues of which we might not otherwise have been aware. Archetypes have been with us forever. They speak to our hearts, and we intuitively understand. As the result, archetypal themes underlie most myth, literature, and cinema classics like the box-office hit ‘Star Wars’, which was based on the archetype of the Hero’s journey. Myth is a great starting point when looking for the meaning behind a synchronistic experience. We can also extract meaning from synchronistic experiences through Jung’s technique of ‘amplification’. For example, with Barbara’s experience, we’d examine the associations others have had with feathers. Throughout history, feathers have been used by shamans and priests. They’ve long symbolized the sacred power of the archetype of the healer. Feathers are also believed to be mystical signs, carrying messages and opportunities. As scraps of synchronicity in the flow of universal meaning, feathers have comforted us and renew our hope for the future. The more in touch we are with our unconscious, the more likely that we’ll notice synchronistic events and be spiritually and psychologically transformed by them. This certainly seems to have been Barbara’s experience. On a bright summer’s morning a year ago, Barbara crossed the border into New Mexico and pulled into the first rest stop. She was exhausted. When upon opening the car door she found a raven’s feather, at last she was certain she’d made the right decision. Hi Debra, that was an interesting post on ‘synchronicity’. It goes to show, what we think about can actually materialise and when it does we’re often slightly bemused and left to ponder on that experience (without any idea of the thought process behind it).